MZK: Junior Reid I thank you for joining us here at Muzik Media today and taking this time out, fantastic performance Im blown. Lets get straight to the point. Two of your songs you mentioned international youth, also you talk about the ghetto man cause, elaborate on that for me. 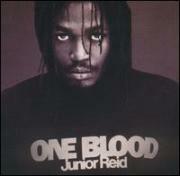 Junior Reid: Why that, because, you see me now, we are de government me and you and de whole ah we so we responsible feh de youths you understand. 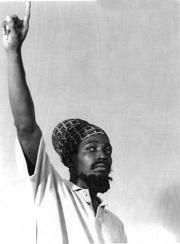 And how they set the system feh just sacrifice the youth freedom everyday so we have to sing music feh open the youth dem eyes. You see the kind of tune dem now have feh open de youths eyes and be positive, because you see the little youth outta road you have to wonder how their future is going. You just cant wait to put them on crack to open dem you see me. We have to be there for the little girl dem and de little girl dem, from dem reach 10. MZK: Why do you care so much everybody knows you as a roots artist and there has been many before you why do you care so much? Junior Reid: I love this world and I have youths in the world and if me nuh try clean up what is going on in the world its not going to be bright for the future for my youth dem and other people youth, you understand. So its a duty feh me to just keep on doing weh me ah do feh try mek it be a better place feh people live cause how de world ah run right know is like a paper bag on the wrong side so we ah try get it on de right side. So if me nuh do it my son or feh him son or your son or daughter will do it to make it safe like from in the beginning. MZK: You talk about unity and everybody coming together as one. When we talk about black people Im sure you mean to go back to the motherland, you talk about Africa, What does Africa mean to you? 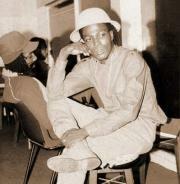 MZK: Why do you think a lot of roots artist have steered away from roots reggae and when its in the realm of dancehall? Do you think its for the mere survival and the preservation of the industry or for themselves? Junior Reid: Because a lot of artist gets afraid, a lot of artists dont want to miss out on the lime light. You know they have all kind of light. They have lime light and Jah light. SO it depends on which light you want to go under. You see the lime light they can take it from you at any time. 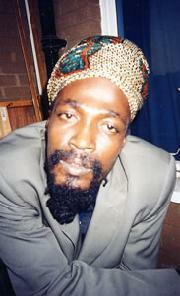 You see Jah light that cant take that from you. MZK: This is why you have preserved it for so many years over 30 years.